Beautiful and unique color, looks to be very durable and well made. 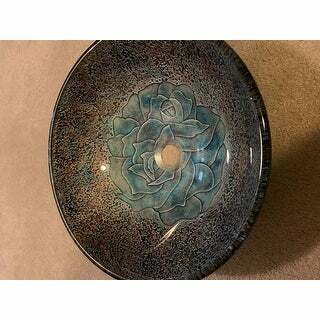 The underside was a little more turquoise than I was expecting but still think it will look good in my bathroom. Harmonious form and function combine in the lovely and sturdy sink. This vessel sinks is engraved, has a tempered finish, and is hand painted on glass for a mystifying uniqueness that elevates aquatic decor. Love love love it! It's a bit bigger than most vessel sinks, I think. No matter, it beautiful!! I love these sinks, I purchased 2 for a vanity in our guest bathroom, they were well packaged and arrived quickly. These sinks are very well made, and should work well to reduce water spatter as they are a little taller than a lot of the vessel sinks out there. They look just beautiful! I would suggest this sink to anyone who wants to add a splash of blue to their bathroom. This sink is gorgeous. I love the various colors of blue. We are so happy with the sink. Love this sink! A bit larger than expected but very good quality. "Does this come with a pop-up drain or accessories? If not, what size drain is required?" It does not come with a pop up drain. The drain opening is 1.75 inches. 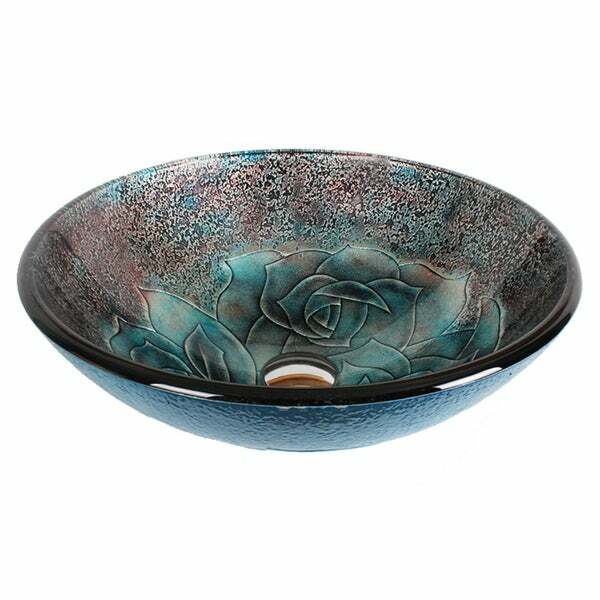 I think it will work perfectly into our bathroom in which we are changing the vessel bowl.